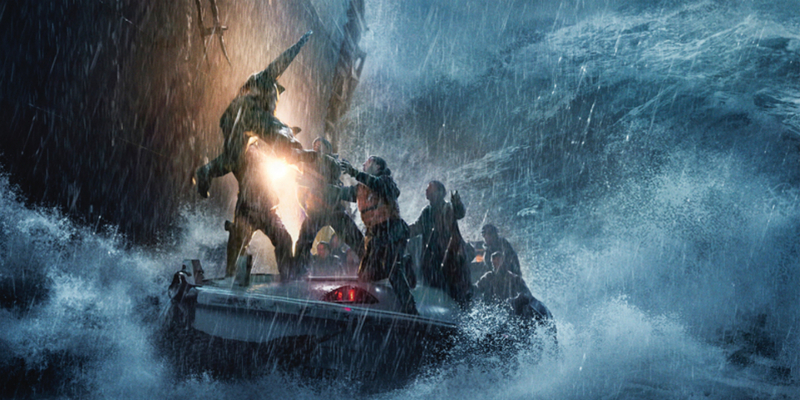 The Finest Hours is an exquisitely well-crafted film about love and heroism, based on the remarkable true story of the most daring rescue mission in the history of the U.S. Coast Guard, filled with nostalgia and adventure that immerses you emotionally and physically. Transporting you to the heart of the action and creating a fully immersive cinematic experience on an epic scale, the film is directed by Australian filmmaker Craig Gillespie (Lars and the Real Girl and the highly acclaimed Showtime series The United States of Tara), and written by Scott Silver and Paul Tamasy & Eric Johnson, based on the acclaimed non-fiction book of the same name by Casey Sherman and Michael J. Tougias. 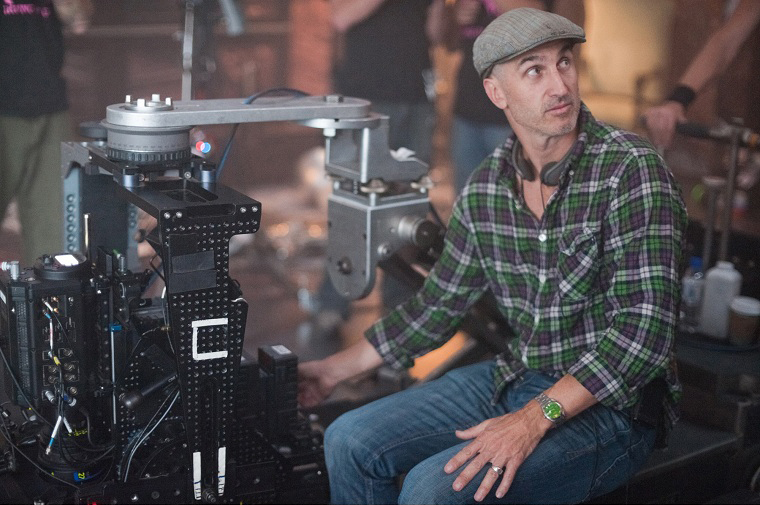 Craig Gillespie (Director) is recognized for his sharp, offbeat comedy, intuitive eye for casting and uncanny ability to inspire reality-based performances. Gillespie has received critical acclaim for his signature work as a feature film, commercial and television director. Gillespie’s foray into feature film directing came in 2007 with the critically acclaimed Lars and the Real Girl. He also directed the remake of the 1985 cult comedy-horror classic Fright Night (2011) and has also worked in television as producer and director of the highly acclaimed Showtime series The United States of Tara. Originally from Sydney, Australia, Gillespie currently resides in Los Angeles, California. On February 18, 1952, a massive nor’easter struck New England, pummeling towns along the Eastern Seaboard and wreaking havoc on anything caught in its destructive path, including two 500-foot oil tankers. The SS Pendleton and SS Fort Mercer, bound for Boston, Massachusetts and Portland, Maine, respectively, were both ripped in half by the storm, stranding their crews at sea. 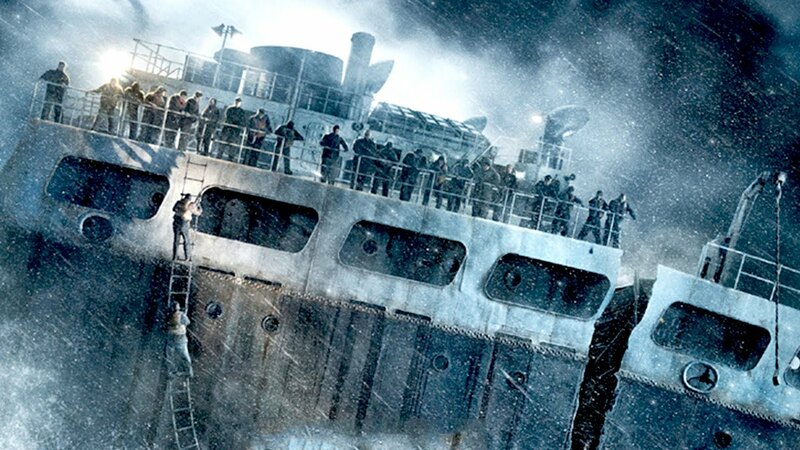 The senior officer aboard the stern of the Pendleton, chief engineer Raymond Sybert (Casey Affleck), soon realizes it is up to him to take charge of the frightened crew and keep the ship afloat as long as possible. The Coast Guard station in Chatham, Massachusetts was busy helping local fishermen protect their boats from the storm when they received word that the Fort Mercer was in trouble and orders coxswain Bernie Webber (Chris Pine) to quickly assemble a crew and take out the CG36500 lifeboat to look for survivors. Webber and three men board the 36-foot motorized, wooden boat and set off on the perilous mission with bleak prospects, at best, and despite hurricane-force winds, 60-foot waves, frigid temperatures and zero visibility, miraculously locate the Pendleton and rescue 32 of its 33 men in the midst of the turbulent storm. When the Boston-based filmmaker first read “The Finest Hours,” the book by Casey Sherman and Michael J. Tougias that documented the incredible tale of the Coast Guard’s attempts to rescue survivors from two T2 oil tankers, she was shocked she had never heard about it before. While the SS Pendleton rescue was front-page news at the time, not everyone today is familiar with the story, including families of the men who were part of the rescue itself. “These guys just didn’t talk about it because to them, it was their job,” she explains. Aufiero brought the project to producer Jim Whitaker (Cinderella Man, The Odd Life of Timothy Green), who felt an immediate connection to the story. They agreed that recreating the gallant efforts of these young men on the big screen was the perfect way to immortalize their story and put together a story treatment and sizzle reel incorporating vintage photos and archival footage of the actual events, which they brought to Disney. Oscar nominees Scott Silver (8 Mile) and Paul Tamasy & Eric Johnson (The Fighter) completed a screenplay based on Sherman and Tougias’ book. While the book tells the story of both tankers that split that fateful night, the screenplay focuses primarily on the Pendleton rescue and its two stories: the men on the tanker trying to survive on the outside chance that someone might come to find them, and the four young men who set out to rescue them. Like Aufiero, Craig Gillespie was unfamiliar with the story when first sent the script, but he read it immediately, followed by the book, and was soon on board to direct. “I really enjoyed how very true the writers stayed to the events and the timeline of when things occurred, which is almost unfathomable considering all that was going on out there in the ocean,” he says. Scott Silver (Screenwriter) co-wrote The Fighter and also wrote 8 Mile, and is currently working on a Jimi Hendrix movie with Paul Greengrass at Legendary Pictures. Paul Tamasy & Eric Johnson (Co-Screenwriters) have accrued an impressive number of film and television credits during their careers. In 2010, their screenplay for The Fighter, an action-drama based on the true story of Irish American boxer Micky Ward, garnered Oscar, BAFTA and WGA nominations. Their upcoming projects include: The Ministry of Ungentlemanly Warfare, an action-drama based on the book by Damien Lewis; Boston Strong, a true story based on the book by Casey Sherman and Dave Wedge; A Spy Story, based on the GQ article My Father and Me: A Spy Story; and The Outpost, based on the best-selling book by Jake Tapper, which Sam Raimi will direct. Casey Sherman (Author) has written eight books, including: Boston Strong, now in development as a major motion picture; Search for the Strangler; and Animal. He is a frequent guest on CNN and FOX News and is also a contributing writer for Esquire and is a sought-after guest speaker. Michael J. Tougias (Author) is the author and co-author of 24 books, including: A Storm Too Soon; The Rescue of the Bounty; Overboard! ; Fatal Forecast; So Close To Home; and Ten Hours Until Dawn.”He is a sought-after speaker who gives inspirational presentations to businesses and lectures on his books to groups across the country. The humility and selflessness characteristic of those in the service of saving lives is truly notable, and the producers wanted to ensure that the actors cast could effectively convey those qualities on screen. When Chris Pine is considering upcoming projects with which to become involved, a clear indication for the actor is a screenplay he can read in one sitting. With The Finest Hours, he couldn’t put it down. Pine, who has starred in the Star Trek films, Jack Ryan: Shadow Recruit and Into the Woods, among numerous others, appreciated the story’s simplicity and was drawn to the character of Petty Officer First Class Bernie Webber, the amiable captain of the CG36500 lifeboat, who becomes an unlikely hero. Webber led a similar rescue mission one year before the SS Pendleton disaster that was unsuccessful and haunted him. The William J. Landry, a fishing boat from New Bedford, Massachusetts, had been trapped at sea by a major squall and after three failed attempts to rescue the fishermen on board, the boat was destroyed, their crew never found. Webber’s confidence was shaken as a result. Academy Award and Golden Globe nominee Casey Affleck (Interstellar), a native Bostonian, plays Raymond Sybert, the mid-level crew member aboard the Pendleton who suddenly becomes the man to whom everyone looks for guidance. Ben Foster (3:10 to Yuma, Contraband) is Richard Livesey, a veteran Coast Guard seaman who, despite his reservations about Bernie’s leadership abilities, volunteers to join him on the lifeboat. The actor was honored to pay tribute to men who are responsible for saving human lives, and who do it with modesty, earnestness and good will. British actress Holliday Grainger (Cinderella) is Miriam, the headstrong fiancée of Bernie Webber who has no problem speaking her mind, especially when it comes to Bernie’s safety. Miriam’s journey throughout the film is to be able to comprehend the world that Bernie comes from and to learn to be secure in the fact that marrying him means marrying into that world. During production, Gillespie’s collaborative approach as a director helped empower the actors to create believable characters. 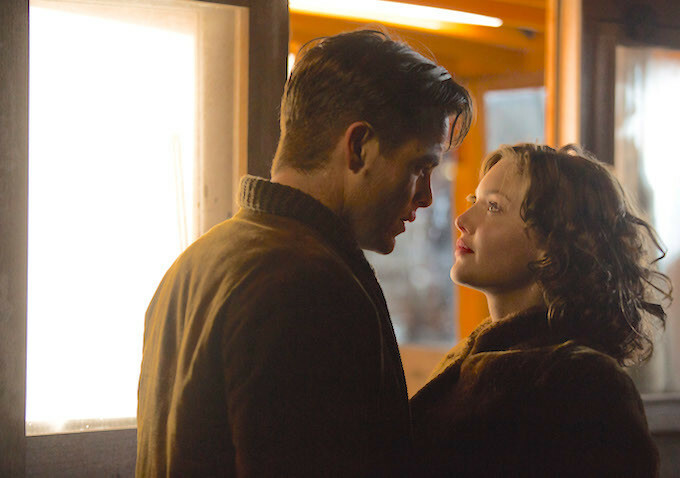 Each film Gillespie has directed thus far in his career is different from the next, either in genre, subject matter or tone, which Affleck viewed as an indication that the director was comfortable taking on new challenges. The only surviving member of the rescue crew, Fitzgerald, was engaged by the producers in the early stages of development, as was Gouthro, to help ensure the facts and details were authentic. “Some people still look at the Pendleton rescue as a suicide mission, but I never saw it like that,” says Fitzgerald, who is now 84 and lives with his wife in Colorado. Gouthro is 83 and lives in Wrentham, Massachusetts. The production shot on the docks at Chatham’s Stage Harbor (which filled in for the Chatham Fish Pier as it looks nothing like it did in 1952) and at sea where the actual rescue took place.